I feel like I’ve heard this phrase a thousand times. From strangers to family, everyone tells me how my little ones are going to grow faster than I’d like. That’s why I love to find unique ways to preserve family memories. 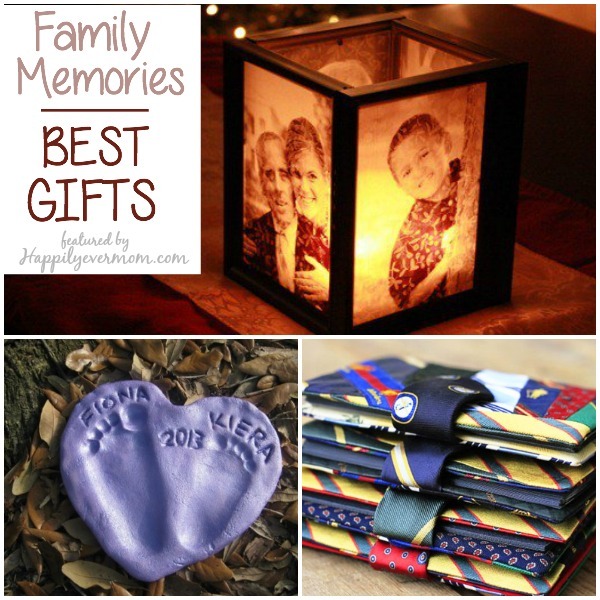 If you’ve been here at Happily Ever Mom before, you know that we love to make kids activities with our family photos, but I also love decorating my house with family photos and memories. 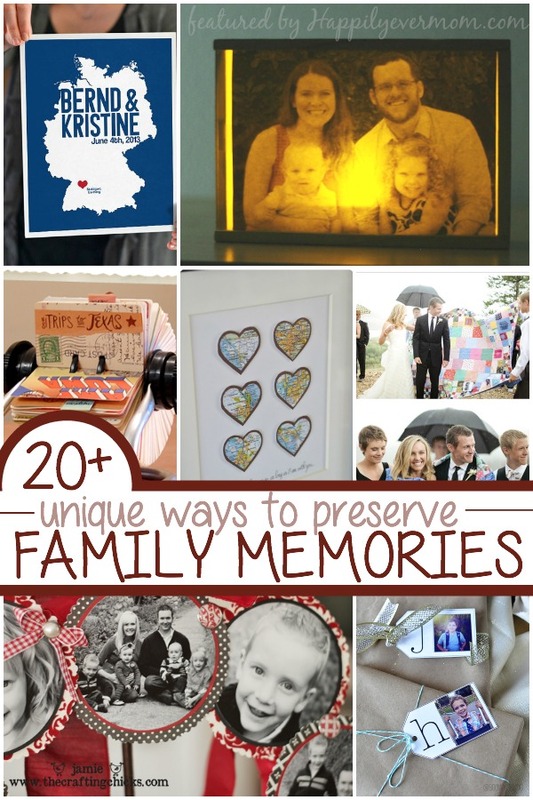 In the spirit of preserving memories, here’s 20 Unique Ways that you can display family around the house and preserve the moments that go by all too quickly. Help little ones go to sleep at night with a DIY family photo night light that can be passed down from sibling to sibling. These vintage photo mason jars are the perfect way to display family photos to give them a unique, aged look – perfect for older family photos that I just love! 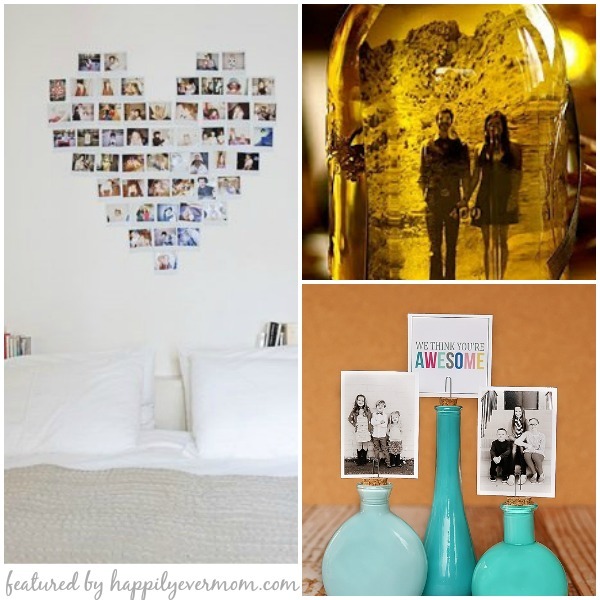 This heart photo display makes for a quick and easy headboard and would be perfect in any girl’s (or boy’s) room. Pair it this with the mini polaroid camera as a gift to make any teens day! Make a sweet photo wreath to put on display. Change the colors out for each season or change them for the holidays. I won’t be passing by that row of glass bottles at the craft store anymore. 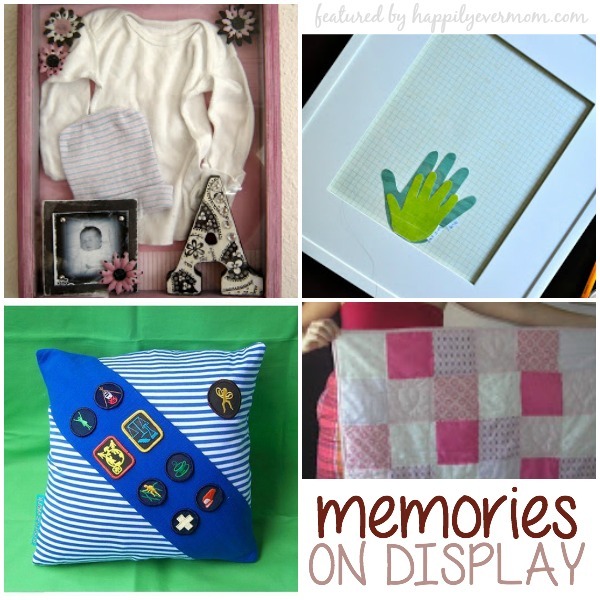 They make for the most creative ways to display photos! And, you can change the photos out really easily, too. There’s nothing better than collecting objects while you’re on vacation. From rocks to shells to sticks, this driftwood display is inspiration for using your collection to decorate the house when you get home. 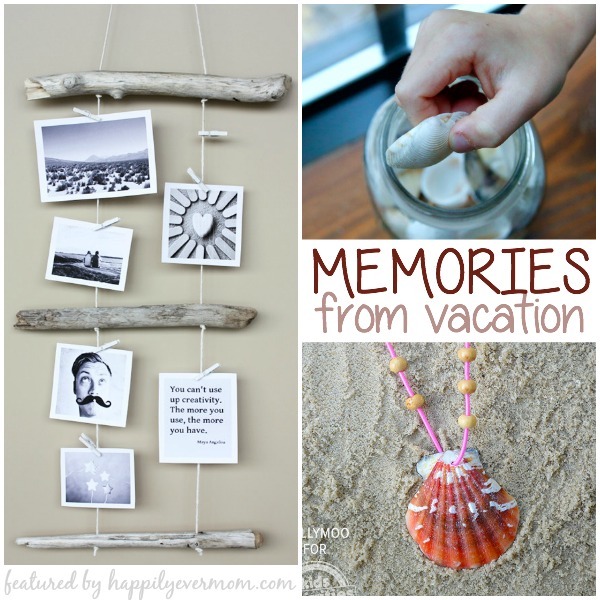 I love this unique way to display your vacation memories – who would have thought a rolodex could be so cute? Headed to the beach? Make your own DIY necklace to preserve your shell collections. Or, grab some jars to fill them with your favorite memories. I love this simple way to display everyday treasures and special ones, too. Remember the most important place for you and the one you love with this adorable poster. Frame it and put in on display! 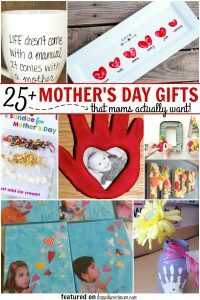 Do these handprints each year to display in your home. The results will be dramatic over the years! Display all of the places that you’ve lived by making your own heart map. This quilt is an amazing way to up-cycle dresses that you only wear once while passing along amazing memories to new members of the family, too. I love how you can keep everything from the hospital with this adorable shadow box and still have everything in a nice display. Probably the most unique way to cherish your wedding day forever – an amazing handmade gift from every person attending your wedding. Just amazing. Use old uniforms (whether your child was a soccer player, boy scout, ballerina, etc…) to make something that you can use everyday. This easy recipe can be used a hundred ways, but this keepsake is sure to win any Grandparent over as a gift. Make a quick and easy baby keepsake with paint and a mason jar. It’s not always about the gift – these family photo gift tags will be a show stopper, too. 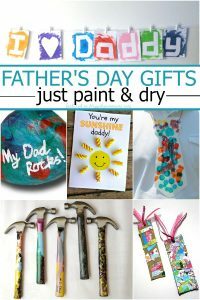 Make the best photo album you can every give with something every Dad has in their closet. Take your favorite photos and make your own photo luminaries. You won’t believe how easy they are to make and the results are gorgeous. 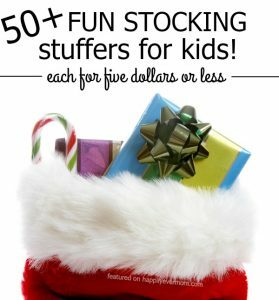 Be sure to follow our Pinterest boards for gifts for and from kids! Thanks so much for sharing these awesome ideas. They would come handy soonest.